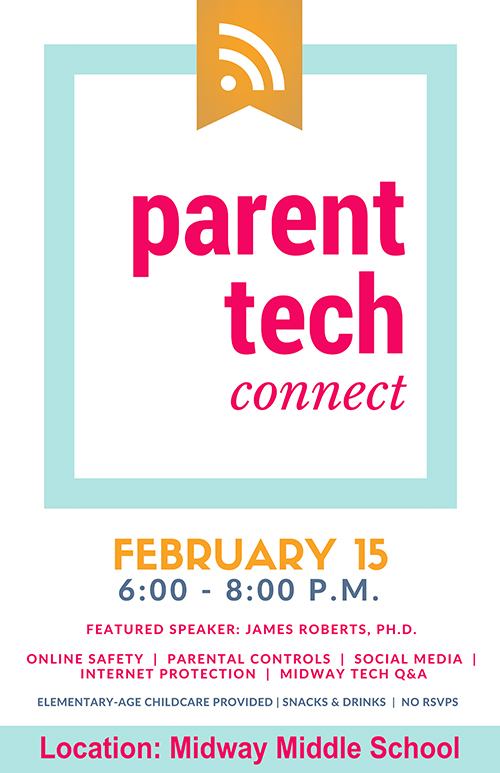 Join Midway’s technology and instructional technology staffs for a night focused on Digital Citizenship at school and at home. This is a new district-wide event for parents of children at all grade levels. The featured speaker will be James Roberts, Ph.D.